After selecting a component, you can find the component’s attributes in the right hand Properties panel. 1. **Part Attributes: You can change the Prefix and Name here，And make them visible or invisible. If you want edit this component, you can click Edit Symbol**. 2. 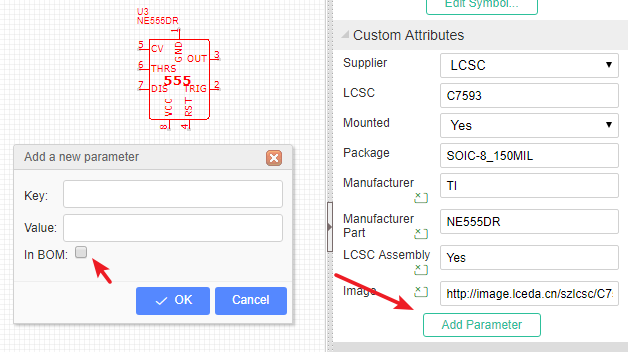 **Custom Attributes:* You can change component’s supplier, mounted or not, change package, and add new parameter*. The Mouted option only works for the BOM, even you set a part mounted as Not, this part’s footprint will exist in the PCB after converting the schematic. 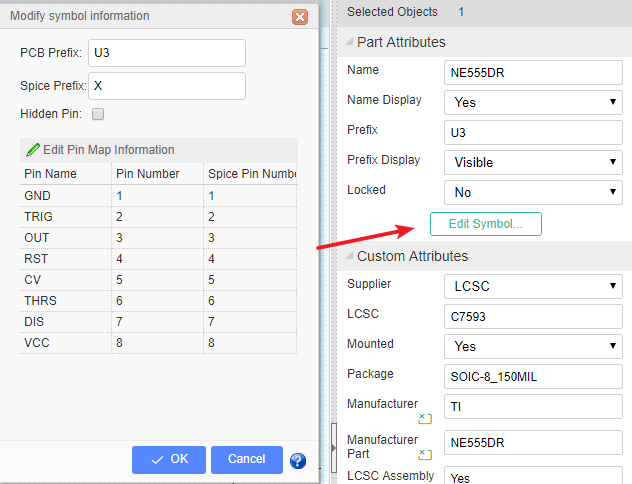 After selected a schematic symbol, you can add a parameter, and you can mark it as In BOM, when you export a BOM file, you can find this parameter in CSV file. 3. 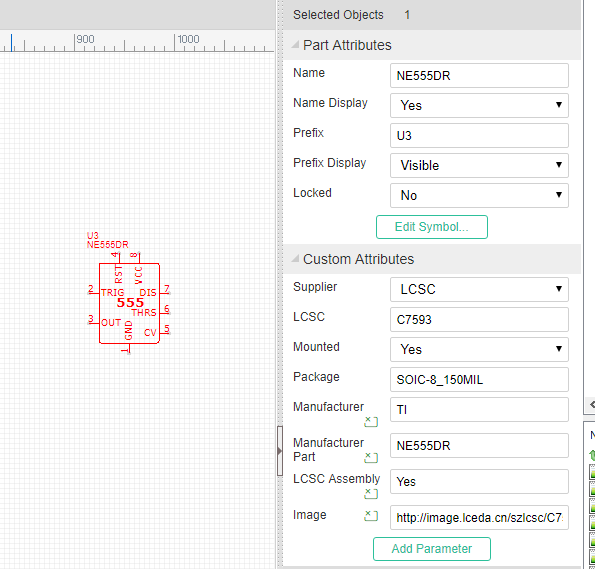 Or click the Edit Symbol on the Parts Attributes on the left panel. 4. Or click the Symbol and right-click, choose the “Edit Symbol” menu. Using this dialog you can edit the pin names and numbers, for example, to suit a different package or device variant. You can also enter a Spice Prefix and swap the spice Pin order to make your symbol usable in simulation. More detailed description of PCB and Spice Prefixes and pin numbers at next section. Device and subcircuit (or hierarchical block) symbols created for use in schematics that are intended to be run as spice simulations, in addition to having a PCB Prefix that is used for the reference designator in the schematic, also have a Spice Prefix. They also have two sets of pin numbers: PCB pins and Spice pins.